SQL DATENAME is one of the Date function is used to extract or display specified date part from the existing date. This function always return String data. 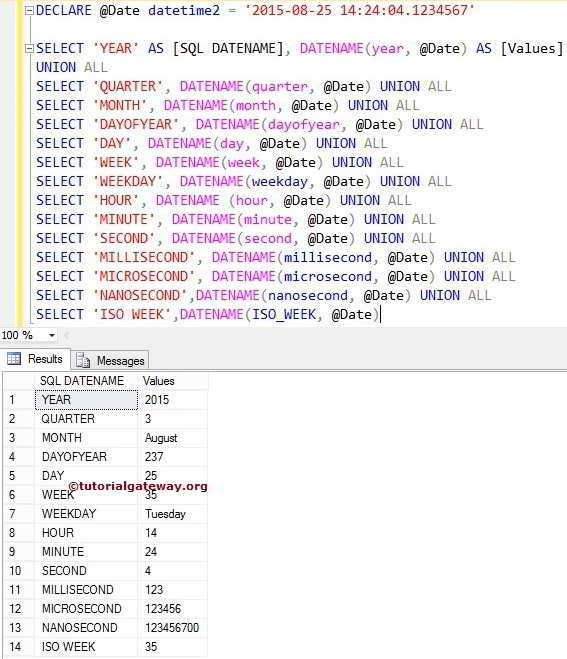 For example, If you want to extract month name or day name (sunday .. saturday) from the existing Date, you can use this SQL Datename function. Date: Please specify the valid date as second argument in this SQL datename function. It can be column, expression or any variable. 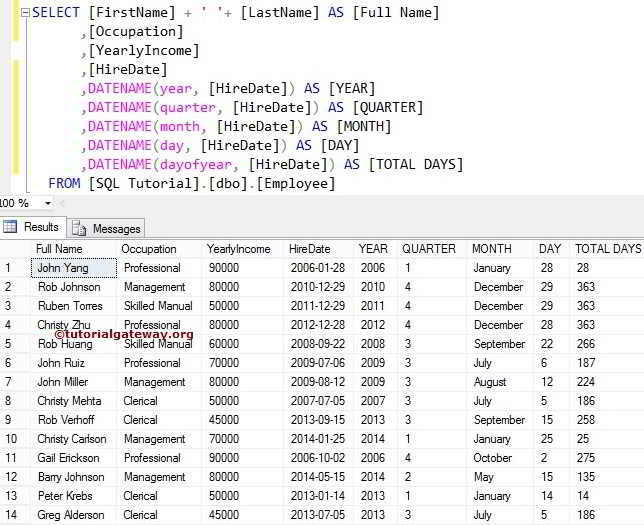 In this example, we are going to use one of the custom SQL table to perform SQL Datename operations on Hire Date column.